We all have an image or images of God in our minds that shape our spirituality. If we have an image of God that is like a difficult to please male figure, then we may have a lot of guilt in our lives or a lot of fear that we are disobeying. If we have an image that God is love, then we may lack a sense of justice or even personal piety. If we have a God image that God is more of a Spirit then we may be inclined to be drawn to the mystical stories of the world. But in the end, most God images tend to share the idea that God is something, to channel Karl Barth, "Wholly Other". That is that God is something else. God is no longer the Friend I meet, the Father with whom I hold converse, the Lover in whom I delight, the King before whom I bow in reverence, the Divine Being I worship and adore. In my experience of prayer God ceases to be any of these things because he ceases to be anything at all. He is absent when I pray. I am there alone. There is no other. We cry out into the world things like, "Where is God in that" or "I cannot hear God" or "Why can't I see God". But Williams is right, God is not "Wholly Other". God is not "out there" or separate from the world. When we talk about the incarnation at Christmas time, one of the Truths that the story of God becoming man is the Truth that God is no longer alongside us. God is within us, connected to us. And we too are bound to and interwoven with God. God became human. God united the "Wholly Other" with the "wholly common". 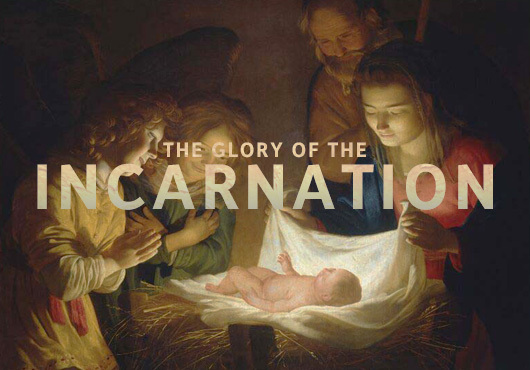 This is the great news of the incarnation. God ceased to be anything at all and became flesh.